For some reason I found it hard to get in to this book but I knew it was valuable information that I needed to learn. 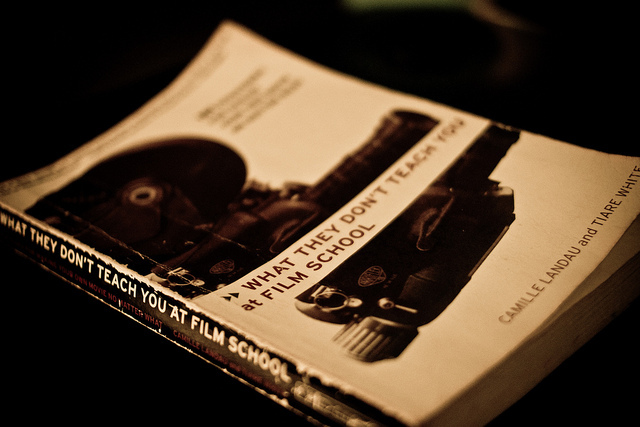 Its full of great advice about how things work in the film making world. It’s an introduction to what it takes to make a film. It talked about film debt, budgeting, being a good director to the cast and crew, keeping things simple during filming, dealing with locations, issues with the script, basically what the author leaned by doing, they put it in the book. I tend to learn better by mistakes. This is why I found this book useful. So much goes in to film making and when money gets involved it can get complicated. Reading about what to do when these situations are reached made me no longer fear them. The chapters about picking the right cast and crew was full of great advice from other film makers. A few things that stand out is not to beg people to work with you, loyalty, treating your actors with care, don’t lead people on when hiring if they aren’t what you are looking for, making sure the coffee is good, food is always available, confronting issues. And finally, pay attention to sound. I learned this important rule since I’ve been the shooter & editor. I’m pretty sure what I read in this book will indeed help me from making mistakes.. and for that I am thankful I read it.